legos... they are both a parent's best friend and worst enemy. the cons: they make a quick mess and hurt like a B when you step on one. our legos were a mess. they were all thrown into a plastic tub. not only was it hard to find specific pieces, they also made an ear-irritating noise when we dug through them. enter four inexpensive plastic drawers. they allowed me to organize our legos by type, which solved both problems in one fell swoop. see? hopefully my pictures say it all. these are our before and after shots. 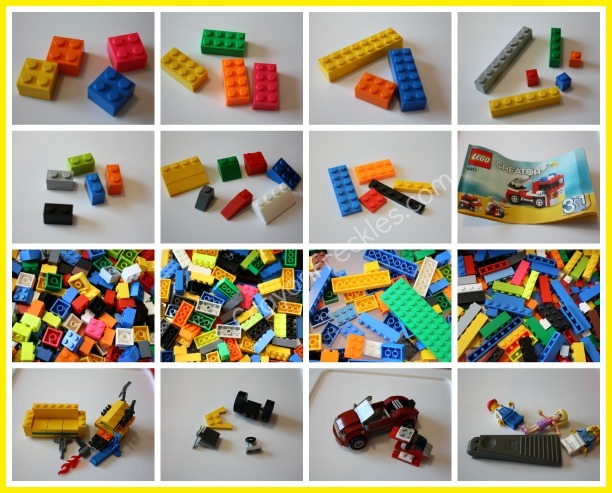 and now i'd like to invite you to link up any and all of your lego related posts! Way to organize! 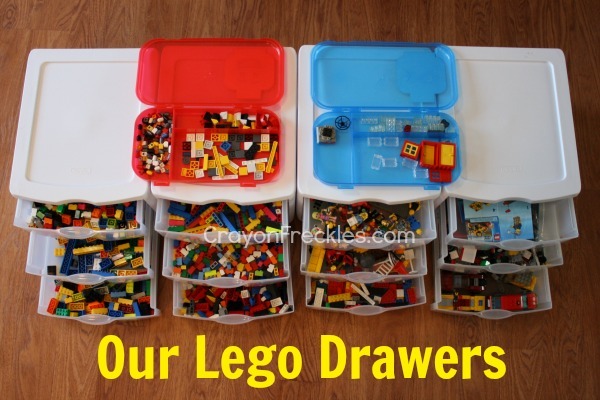 Our legos look a lot like your "before" picture, although they are inside a king size sheet in our big bin to make cleanup easier. 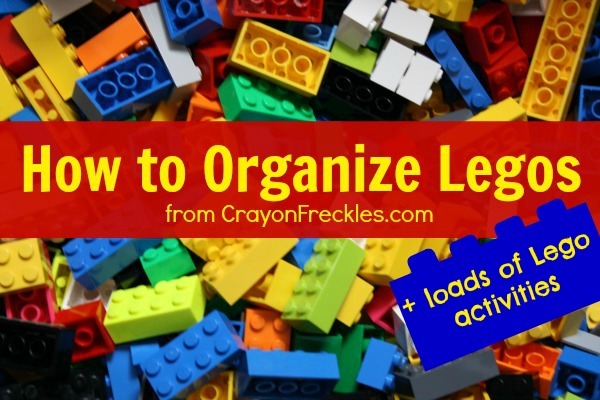 Your Lego organization is awesome! It makes me want to come over to play :) I think my children would like the little ones so much better if they weren't just thrown in a huge bin. Thanks so much for hosting this great link up!